The Milo Marathon is considered as one of the most prestigious and oldest race event in the Philippines which started in the 70’s. 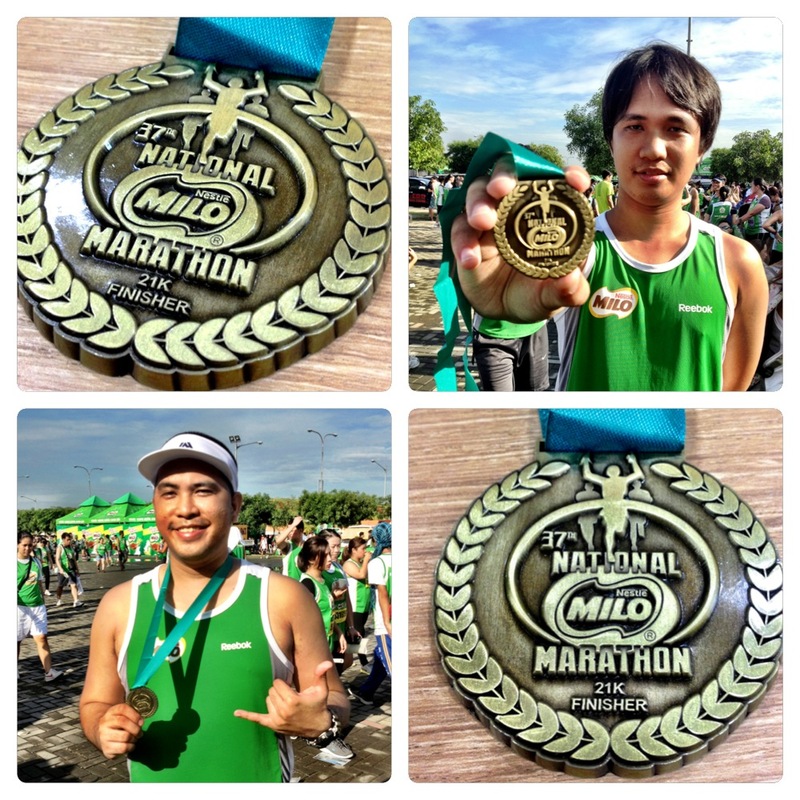 I am really grateful that I finally got the chance to run on The 37th Milo Marathon 2013 (Manila Leg Elimination). I am very excited for the race because it is my first time to experience a race event where there is a cut-off time of 2 hours and 30 minutes for the 21K category. I never hit or achieved that below 2 hours and 30 mins mark ever so this is really a big challenge for me. Image from Milo Philippines FB Page. We arrived at the Mall of Asia Concert Grounds a few minutes before the gun start. Me and my bro did some stretching before finally hit the line for the 21K runners. 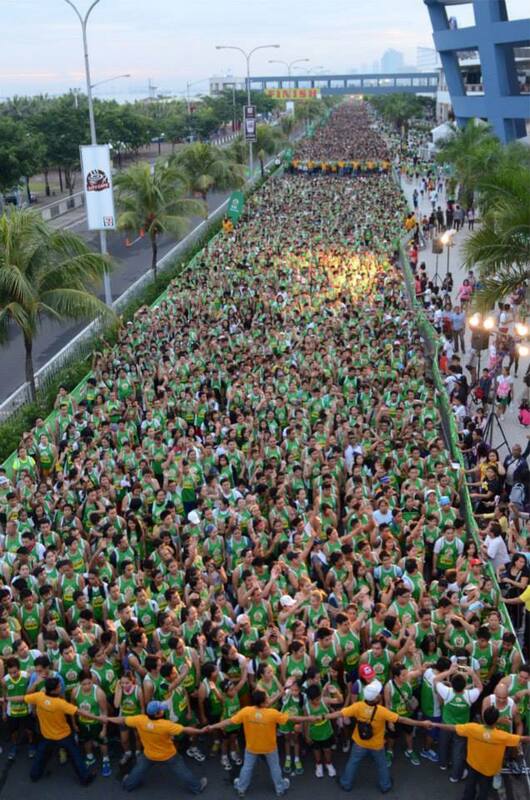 Thousands of runners are already in line before we start the usual program and introduction done by the hosts. I am excited and nervous at the same time! I see lots of old aged runners lining up on the 21K line, I was amazed on how many senior citizens joined the race. The race just started in time. This is it! I am going to run to give some new shoes for deserving kids. Me and my brother paced with each other very well. We went a bit faster than the usual pace that we are doing. The first few kilometers are okay and exciting. I didn’t get tired too fast compared to my previous run. Maybe because I feel energized and excited and at the same time nervous that I won’t be able to beat the cut-off and get a finisher’s medal. After a few kilometers of running, around the 12 or 14km mark, my side stitch hurt. I told my brother to leave me behind so he could beat the time. I walked for a minute to catch my breath then kept running again. To gain more strength, I kept my pace with the senior citizens that I see along the route. It inspires me seeing these old runners not giving up. When my side stitch felt okay, I didn’t stop along the water stations as much as I can so I could finish in time. So I think less than 200km before the finish line, I felt the cramps kicked in my left leg but it didn’t stopped from finishing strong. When I saw the ‘Finish’ line sign, I pushed myself harder. I didn’t expect that I’m going to get a medal because I was 9 minute short, but God is good that I still managed to get a medal. I was so happy when I saw that they’re still giving away medals after the 2 hour 30 minutes cut-off. All in all, it was a fun and challenging experience to run the Milo Marathon. See you all on the 38th Milo Marathon next year!